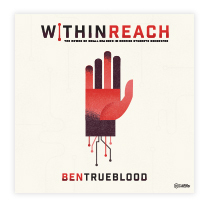 Not long ago I was speaking at a winter retreat for a high school student ministry. During the second day of the retreat, the youth pastor invited me to an informal “Q&A” time with the students. Nothing was off the table during this half-hour block of time—students could ask us anything pertaining to their faith and we, hopefully, would have a decent enough response for them. I enthusiastically agreed to join in. The apostle Peter, along with other writers of Scripture, knew the importance of being able to give those who ask reasons for our belief in Christ. If asked why we believe in any particular article of Christian belief or doctrine, we should, as Christians, be able to articulate in a persuasive way the reasons for that belief. This implies, among other things, that there are good reasons why we believe what we confess, and that those reasons can be offered to unbelievers in order to help them overcome any intellectual obstacles they may have to belief in God. 2. The second reason why apologetics is important is more positive in nature. 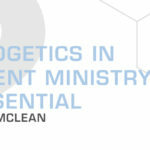 Not only does apologetics help us to defend our beliefs—not only does it serve as a means to explain to others why we believe what we believe—but apologetics is also used to strengthen the faith we have. To bolster it. To assure us that our beliefs are reasonable. 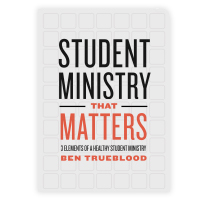 This is particularly helpful in student ministry today on account of the simple fact that our students have questions that need answering. Like many of us, they too go through seasons of doubt in their search for truth and clarity. 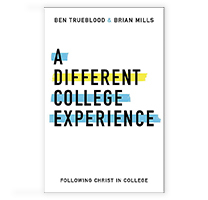 And because of that, apologetics can be an invaluable tool at your disposable as you equip students to handle those questions and doubts in a way that would strengthen their own faith and commitment to Christ. 3. A third reason why apologetics is essential for today is for the simple reason that we, as Christians, are called to love God with not only our heart or affections, but with our mind as well. Jesus made the case for loving God in the life of the mind when He gave the greatest commandment in Matt. 22:37. By saying we are to love God with all of our “heart, soul, and mind,” Jesus was essentially saying we should love God with our entire being—mind included! This last point becomes even more relevant when considering the cultural climate in which our students find themselves in today. It seems like every few months there is another cultural debate over yet another social issue, ranging from gender identity, sexuality, marriage, the unborn, etc. 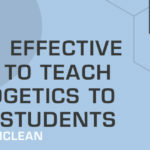 And instead of allowing our students to passively consume the ideologies being thrown their way from people on both sides of the isle in these debates, why not be a part of equipping students to think biblically and critically about these issues, as well as the manner in which to communicate those beliefs to others in a winsome way? 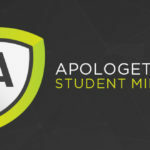 For reasons like these and others, make the use of apologetics a staple practice in your ministry to students. Doing so will not only benefit them in them in the short run by giving them answers to the questions they are wrestling with now, but also in the long run as they become more mature followers of Christ. To learn more about LifeWay Students’ brand new apologetics study, Big Questions, click here.